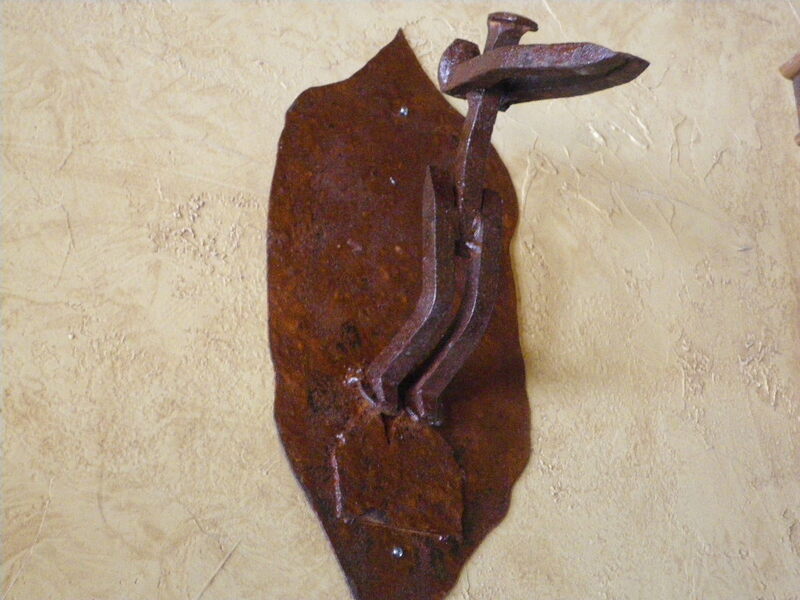 First in a series of three commissioned pieces designed to be mounted on the front of a fireplace. 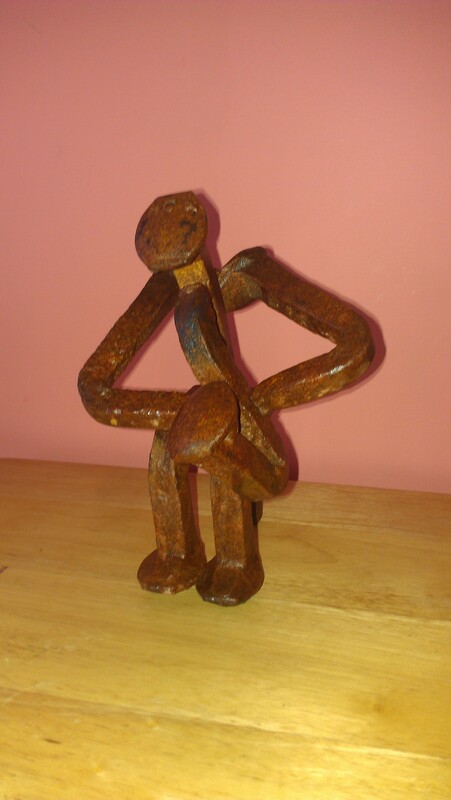 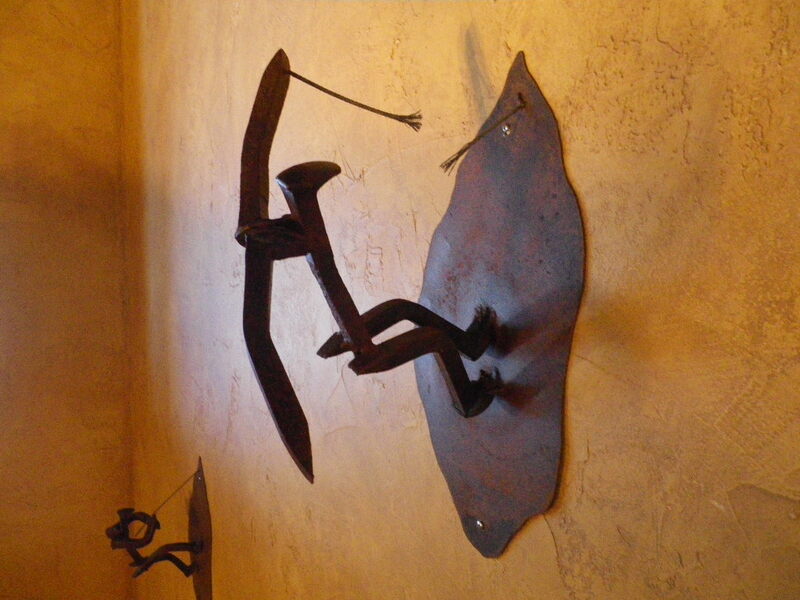 Jazz man is part of the "man series", a collection of pieces fabricated from railroad ties depicting men in action. 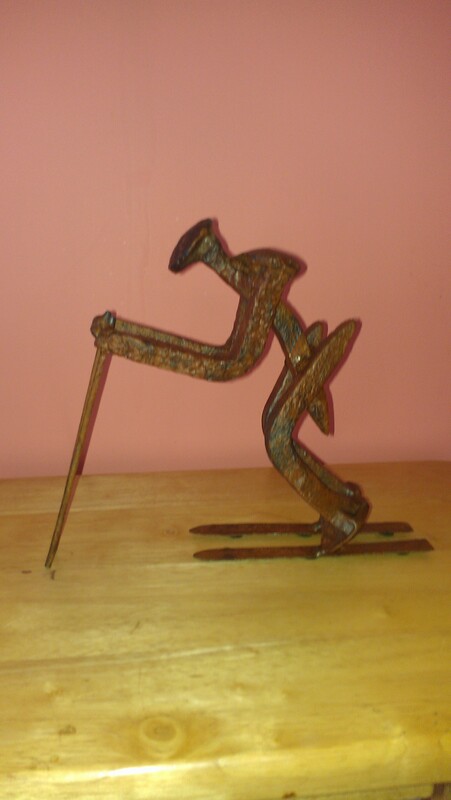 Skiing man is part of a the "man series". 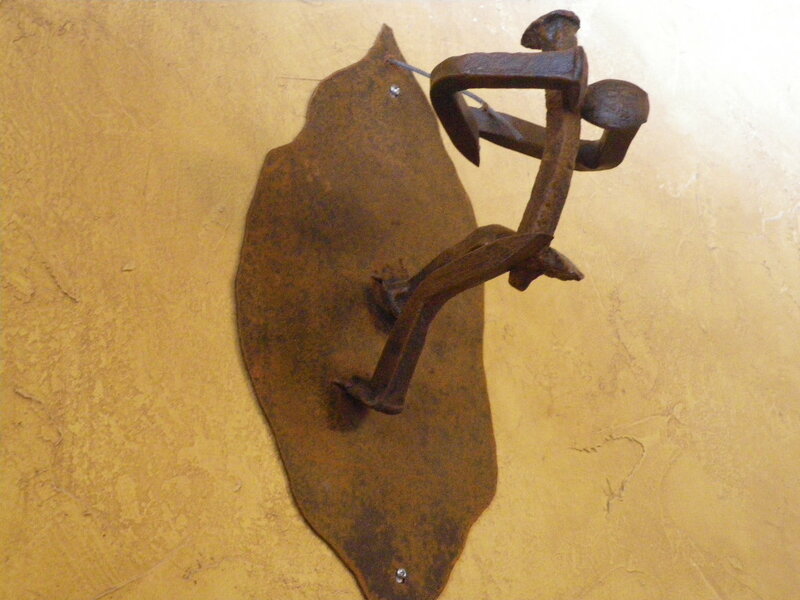 This collection of pieces fabricated with railroad spikes, depict men in action.